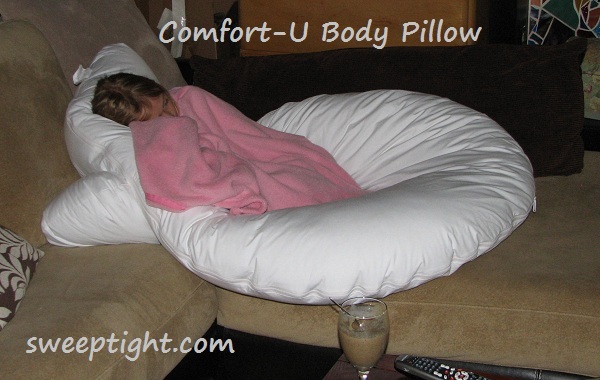 This Comfort-U body pillow from Dream Essentials is simply fantastic. I know these are typically for pregnant women, but after my recent break-up, sleep has been extra difficult to get. 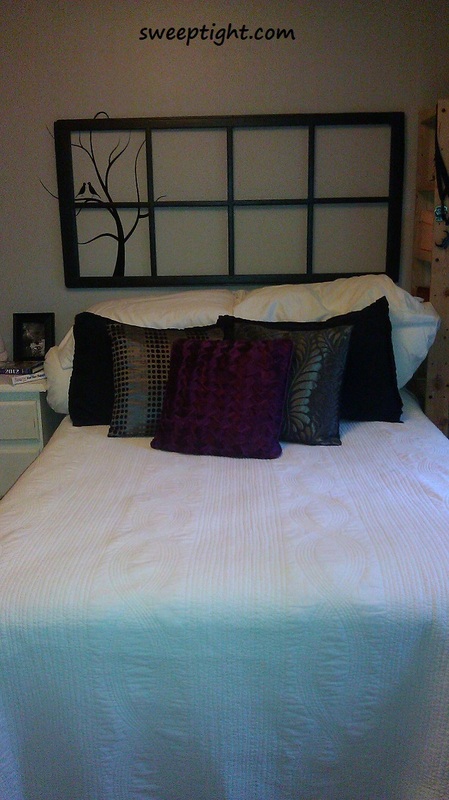 Plus, I sleep with half a dozen pillows anyway because I am super sensitive to migraines. I find that I have to obtain just the right position for my skeletal alignment so I’m not tensing any muscles while sleeping, specifically in the shoulder area. But, I also have lower back issues from having kids. So, I build a nest: One pillow for under my head, one for between my legs (I’m a side sleeper,) one for behind my back and one to hug. Because I move around a lot when I sleep, this arrangement usually ends up out of place or on the floor. Product was received for review. Post contains affiliate links. But, now that I have this awesome u-shaped body pillow, I can nestle right into it and it doesn’t fall off the bed! I can flip over without having to transfer the pillow between my legs. In fact, I don’t recall waking up from rolling over at all! This Comfort-U body pillow is quite enormous. I had wondered where I would keep it when not in use but I find I can just tuck this body pillow under my other pillows when making my bed. The kids also love this. My daughter was home sick today and she coiled the Comfort-U around her body and didn’t move all day. 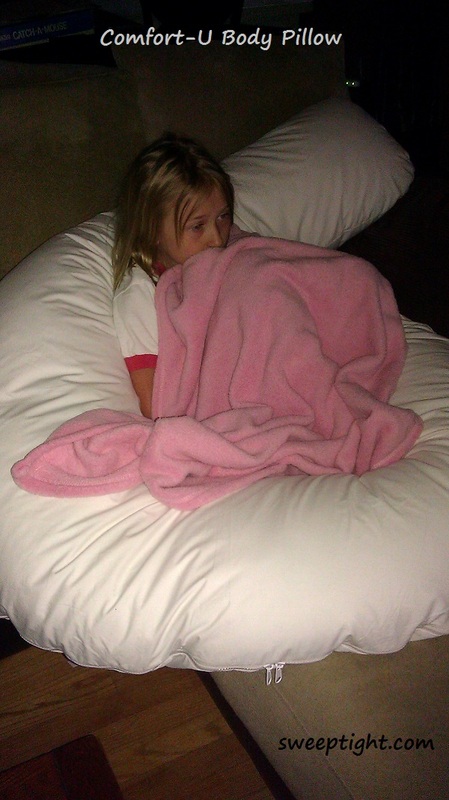 She was so cozy! I swear whatever was bothering her is gone now after getting such an incredible day of rest. It’s definitely safe to say that this body pillow is not just for pregnant women. 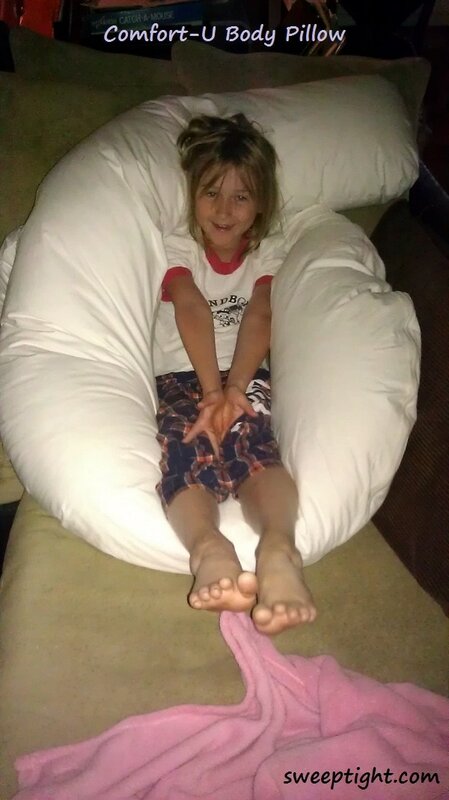 This pillow is loved by all ages. I most definitely suggest adding this body pillow to your sleeping setup. If you’re looking for coziness, you will find it with this full body pillow. Grab a body pillow today! I have the Comfort-U pillow, and my hubby is always stealing it! I’d love to buy him a Snoozer Full Body Pillow!